Environmental Permits Archives - Environmental Safety Consultants, Inc. So you had your Phase I Environmental Site Assessment (Phase I) done and Recognized Environmental Conditions (RECs) were found. You have decided to proceed with the transaction but you now need a Phase II ESA (Phase II) to fulfill your due diligence in determining if the site is or could be contaminated from usage of the site or properties in the vicinity. On the financial end, you and the seller have decided who will pay for the Phase II. This could mean that the seller will pay for it all, you will pay for it all, or the two of you will share the expense. Many times if you are paying any part of it, there is a proviso that the seller will reimburse you in full if contamination is found and you cancel the trans-action. The specifics are provided by your attorney. The next step is to retain an environmental consulting firm to complete the Phase II. It may be the same firm that did the Phase I or a different firm. Not all Phase I firms complete Phase II’s. Qualifications, licenses, availability, and a myriad of other considerations may result in switching firms. However, if all things are equal, it is best to stick with the firm that did the Phase I. The reason is that they are most intimately involved in both the assessment of the site and the basis for the RECs they reported. Whichever firm you select, there are a number of items to check out. You need to know how experienced they are in completing Phase II’s in general and, more specifically, in completing them on similar properties and similar contaminants. Ask for a Statement of Qualifications & Experience which will list Phase II projects completed, resumes of the staff, and engineering or geological licenses with the State of Florida. You can check these licenses out at www.myfloridalicense.com. Once you have selected a firm, discuss the Scope of Work, turnaround, and terms. The Scope should be designed to specifically investigate the RECs that were found during the Phase I. This includes the media type and the contaminant types. The media may include soil, surface water, sediments, and groundwater. One or more of these media may need to be included. Types of contaminants include gasoline, diesel fuel, used oil, solvents, pesticides, heavy metals, and perc (perchloroethylene, a dry cleaning chemical), among others. 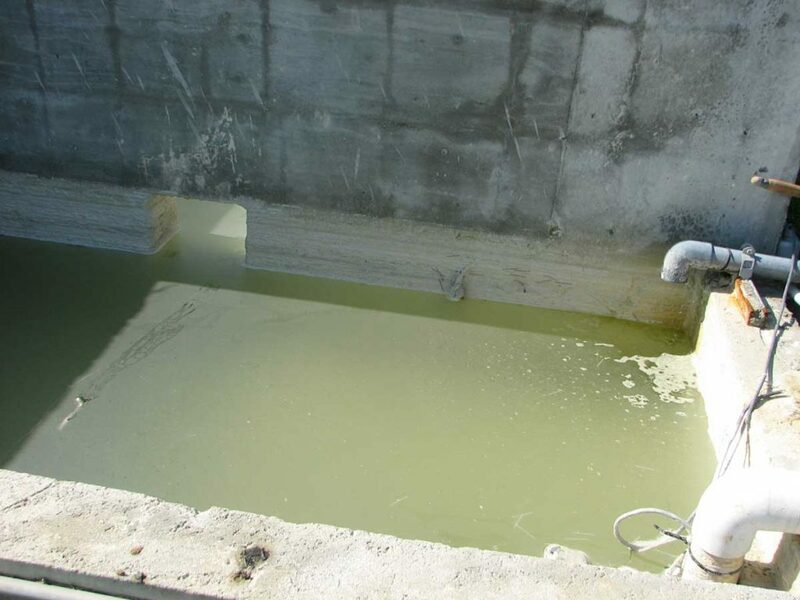 There may be concerns with different contaminants in different locations on the site. These locations may have different media to be tested. 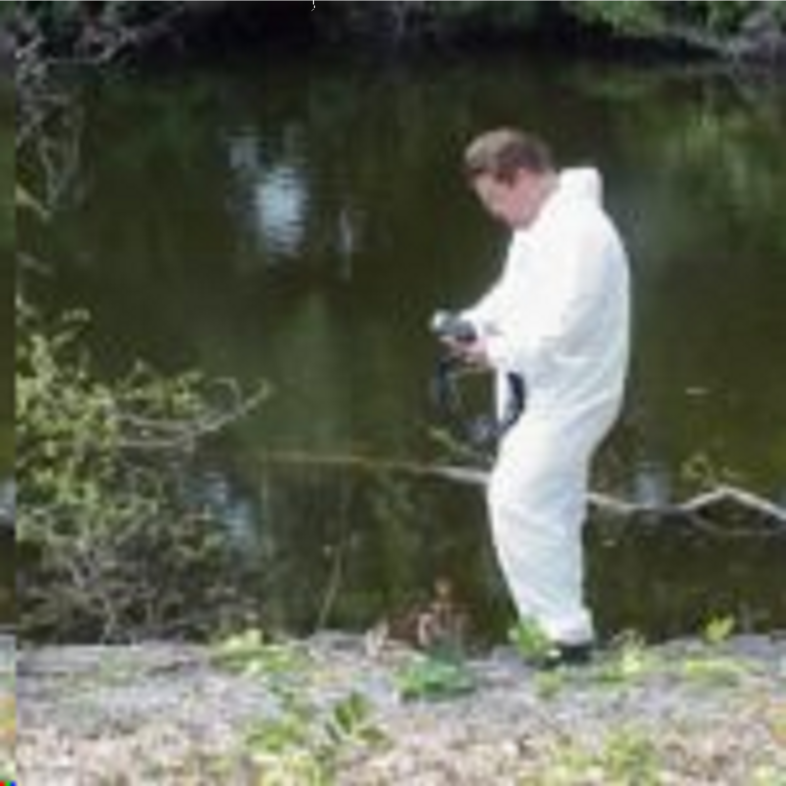 The Scope of Work should follow Standard Operating Procedures of the Florida Department of Environmental Protection (FDEP) for quality assurance and control. Additionally, make sure the firm is using a laboratory accredited by the National Environmental Laboratory Accreditation Program, NELAP (www.nelac-institute.org) and certified by the Florida Department of Health (www.floridahealth.gov). Otherwise, the data may not be court defensible or accepted by regulatory agencies in the event that those agencies become involved with the site. Similarly, make sure that if a Well Driller is involved that they are licensed by the FDEP (www.fdep.gov). After all of this is done, request a Professional Services Agreement from the firm. This is the written contract between you and that firm. It must spell out the basis for the Phase II, the turnaround, Scope of Work, and Terms & Conditions. Review it closely and make sure it meets your satisfaction. Otherwise, request revisions before you sign it. So you have retained the firm, they are ready to start the project, and you are done, correct? Not so fast. When you give them notice to proceed, you need to request that they keep communications open. Tell them that you want to know when the site work is scheduled, what the results are from the site work, what the significance of those results are, and what the analytical results from the laboratory are and what they mean. You may need to notify the seller of any significant findings as the work progresses. Finally, let the firm know that you need the report at the time specified in the Agreement. Once you receive the report, review it closely, then call or meet with the firm to answer any questions or clarify certain sections. Keep in mind that there is no requirement to have the report submitted and approved by environmental regulatory agencies. However, some lenders and other entities use other environmental consulting firms or attorneys to conduct peer reviews of the reports. If significant contamination is found, then you or the seller should explore remediation options, which are the topic of another paper. At that point, you may cancel the transaction and look for another site. Your attorney must advise you. 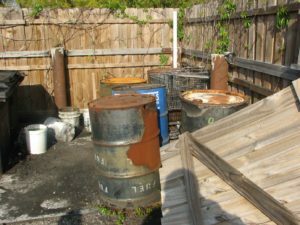 Environmental Safety Consultants (www.escflorida.com) can make sure due diligence is exercised in completing your Phase II. We have the credentials and experience to properly complete the work. 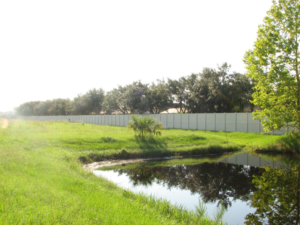 We are a Florida-licensed Engineering business with certified Environmental Site Assessors, a Professional Engineer (P.E. ), environmental scientists, and 30 years of experience completing ESAs. We are just a telephone call (800-226-1735) or an e-mail away (escinc@verizon.net). Be diligent and contact us today! There are certain extremely important environmental considerations in commercial property transactions. The soil, groundwater, or surface water, may be contaminated with pollutants such as solvents, PCBs, dry cleaning fluids, petroleum products, pesticides, arsenic, etcetera. There may be buried drums or tanks of pollutants. Or a retention pond may be part of an industrial wastewater treatment system and may be leaking pollutants into the aquifer affecting nearby residents. The conditions above may create an economically significant, environmental liability for you as the buyer. Once you enter into the chain of ownership, you are potentially liable for cleanup costs in the future. That is called joint and several liability in legalese and it could bankrupt a business, cause a default on the loan, and affect the market value of the property. However, the federal Comprehensive Environmental Response, Compensation and Liability Act (CERCLA, aka Superfund, www.epa.gov/superfund) offers protection to the “innocent purchaser”. To qualify, a purchaser must exercise “due diligence” in determining whether a site is or could be contaminated. This is done by completing an Environmental Site Assessment (ESA) prior to the property transaction. The ESA is designed to determine if the property is or could be contaminated from past or current operations both on the site itself or on properties in the vicinity. Environmental Site Assessments are conducted in phases. A Phase I ESA includes an inspection of the site and properties in the vicinity; review of environmental regulatory records, data, permits, and complaints; interviews of the buyer, seller, managers, and regulatory personnel; review of current and historical aerial photographs of the site and vicinity; review of environmental title search back to 1940; and review of nearby landfills, surface waters, and U.S. Geological Survey (USGS) topographical maps. If the Phase I concludes that the site does not appear to be contaminated, you are done and can move on with the transaction. However, if it indicates that the site is or could be contaminated, then a Phase II ESA will be needed to test the soil, surface water, and groundwater to conclude the due diligence. But that is the topic of another paper. The key to the ESA is exercising due diligence. Most purchasers of commercial properties retain environmental consulting firms to complete the ESA. Extreme care must be exercised in selecting the firm. It is not a situation where a penny saved is a penny earned. It can be more like a few hundred dollars saved can be thousands to millions of dollars lost. As a consumer, you must make sure that the consulting firm has the experience, credentials, and qualifications to properly complete the ESA. This applies to the firm itself and to the actual staff members completing the ESA. Highly qualified principal consultants in offices miles away and not actually completing the ESA are of limited to no use. Desired qualifications may include Professional Engineers, certified Environmental Site Assessors, and Professional Geologists. Of course, appropriate insurance coverage is a must. Check for inclusion of commercial general liability, professional liability, pollutant liability, workers compensation, and automobiles. There is no requirement to have the ESA Reports submitted and approved by environmental regulatory agencies. However, some lenders and other entities use other environmental consulting firms or attorneys to conduct peer reviews of the Reports. There are two ways that Environmental Site Assessments can help you. First, they can help you avoid acquiring contaminated properties. Second, if the ESA is completed properly and due diligence is exercised, Superfund is supposed to fund the cleanup if contamination is found later that could not be detected during the ESA. Ultimately, due diligence would be determined by the U.S. Environmental Protection Agency (EPA, www.epa.gov) or the courts. 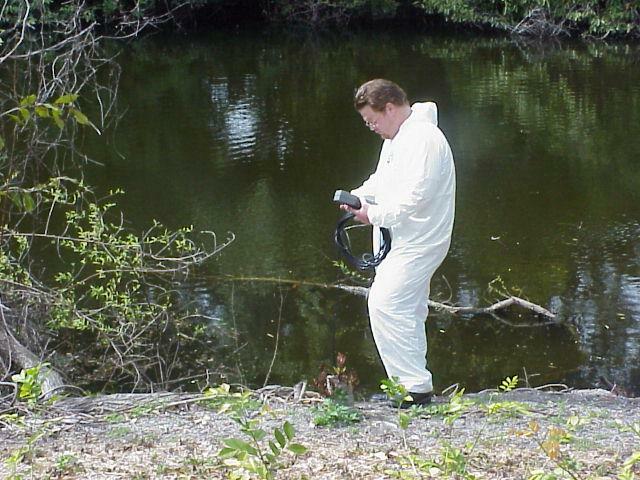 Environmental Safety Consultants (www.escflorida.com) can make sure due diligence is exercised in completing your ESA. We have the credentials and experience to properly complete your Environmental Site Assessments. We are a Florida-licensed Engineering business with certified Environmental Site Assessors, a Professional Engineer (P.E. ), environmental scientists, and 30 years of experience completing ESAs. We are just a telephone call (800-226-1735) or an e-mail away (escinc@verizon.net). Be diligent and contact us today! One type of environmental monitoring is surface water testing. This sounds simple enough, but exactly what is surface water testing? Well, let’s break apart the term. First, a surface water is a body of water on the surface of the earth, as opposed to groundwater which is beneath the surface of the earth. Surface waters include ditches, streams, creeks, rivers, springs, bays, ponds, lakes, rivers, gulfs, and oceans. Second, testing takes many forms. It can be done with the unaided eye, depth measurement tools, Secchi disks, electronic meters, or samples analyzed in a laboratory. Testing done in the water body itself or next to it is called in situ testing. Samples can be collected manually or with automated samplers. Manually collected samples can be collected directly into laboratory sample bottles or into mechanical collection bottles such as Kemmerer bottles which can collect samples at various depths. The contents are then emptied into laboratory sample bottles. Automated samplers can be programmed to collect samples at select time intervals over an extended period of time. Separate samples can be collected at each time interval or sample aliquots can be collected at each time interval and then be added to a large sample container to produce a composite sample. Whether the samples are collected manually or automatically, they are ultimately analyzed in a laboratory. They can be analyzed for biological, chemical, or physical parameters. In Florida, the laboratory should or must be accredited by the National Environmental Laboratory Accreditation Program, NELAP (www.nelac-institute.org) and be certified by the Florida Department of Health (www.floridahealth.gov). The data will not be accepted by regulatory agencies unless it is generated from one of these laboratories. Why would you want to test the surface water? There are lots of reasons. One is that you want to be proactive because you truly care or for public relations. For example, you may want to produce water quality data that shows your facility is not polluting the receiving surface water. Another reason may be for an NPDES industrial wastewater permit application, or to meet monitoring requirements under a permit. Additionally, you may have had a spill or discharge and you are being required or you are volunteering to test the surface water quality. In that case, you may need to determine if you have impacted the receiving water or if you have cleaned it up. Finally, you may be planning to introduce a new operation and need to establish current water quality conditions so that the operation’s impact can be projected. After the operation is up and running, more testing can be done to determine if your projections were accurate. If you do end up testing the surface water, you will want to make sure that it is done properly and that the data are valid and court defensible. Otherwise, you may end up with credibility problems. Adverse publicity and scrutiny from the media and environmental watchdog groups are not worth it. Even if you truly have no impact on the quality of the receiving water, it may be perceived that you do because of faulty data. 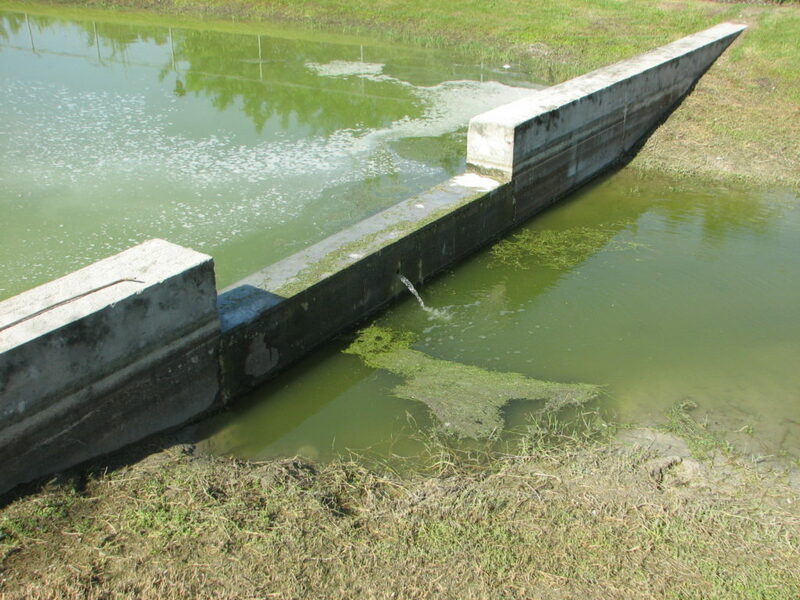 This is where Environmental Safety Consultants (www.escflorida.com) can help. We have the credentials and experience to properly complete your surface water environmental monitoring. We are a Florida-licensed Engineering business with environmental scientists, a Professional Engineer (P.E. ), and years of experience testing surface water quality. We are just a telephone call (800-226-1735) or an e-mail away (escinc@verizon.net). Contact us today! Environmental monitoring covers a large field of testing. The media include soil, groundwater, surface water, air, sediments, stormwater, and industrial wastewater. The reasons for environmental monitoring are even more numerous. From the regulatory side, it can be done for a permit application or exemption, a sanitary sewer pre-treatment ordinance, specific conditions of a permit, government regulated cleanups, investigation of spills or discharges, complaints from neighbors or employees, or regulatory citations. In the non-regulatory area, it can be done to exercise due diligence as a Phase II Environmental Site Assessment, to prevent pollution, or to be proactive and demonstrate the company’s status as a good citizen who is concerned about the environment and the community. There are two basic types of environmental monitoring. The first type is done in situ (i.e., measured in the field directly on the sample media) most commonly with electronic meters, while the second type involves samples which are collected in the field and typically analyzed in a laboratory. There are other types of readings taken in the field such as Secchi disks to determine transparency of surface water and visible evaluation of emissions from smoke stacks to determine the opacity of the smoke in comparison to allowable limits in air permits. Samples can be discrete or grab samples or they can be composite samples collected over specified time internals or collected in proportion to the flow of a source. Samples can be collected manually directly into the sample bottle or first into a sample collection device such as a bailer or vertical sampler which is then transferred into the sample bottle. There are also automated samplers such as composite samplers and electric sampling devices such as peristaltic pumps, bladder pumps, and centrifugal pumps. There are also samplers for specific tasks such as dredge samplers and corers for sediments and stack probes for air emissions. Analysis of samples includes biological, physical, and chemical parameters. Examples of biological analyses are benthic invertebrate identification, bioassays, zooplankton, and algal assays. Physical analyses include particulate matter in air, turbidity (i.e., particulates in water), and temperature. Chemical analyses include nutrients, pH, dissolved oxygen (typically done in the field, not laboratory), radioactivity, solvents, petroleum hydrocarbons, pesticides, inorganic chemicals, and organic chemicals. Regulatory standards for these analytes can be found in various sections of Chapter 62 in the Florida Administrative Code (F.A.C., http://dos.myflorida.com/offices/administrative-code-and-register/) enforced by the Florida Department of Environmental Protection. Specific air testing methods are found in various Parts in Title 40 of the Code of Federal Regulations (40 CFR, https://www.ecfr.gov/cgi-bin/ECFR?page=browse.) enforced by the U.S. Environmental Protection Agency (EPA). In designing environmental monitoring, first, the objective must be identified. It may be to meet regulatory requirements, to complete due diligence, or to determine if there has been a release of pollutants. After that, the scope of work must be developed to meet the objective. That will involve identifying the frequency of monitoring, types of samples, methods, analytes, interpretation of results, and report of results. Standard Operating Procedures should be followed to insure the accuracy and precision of the data. Equipment calibrations, Chain-of-Custody forms, and Field Book records need to be part of the monitoring. Analysis of the samples should be done by a laboratory certified by the Florida Department of Health (FDOH) and accredited by the National Environmental Laboratory Accreditation Program (NELAP). If the monitoring is not done in this manner, the results may be suspect, inaccurate, and inadmissable. If it seems too daunting, Environmental Safety Consultants (www.escflorida.com) can help you with your environmental monitoring. We are a Florida-licensed Engineering business with over 32 years of experience. We are just a telephone call (800-226-1735) or an e-mail away (escinc@verizon.net). Contact us today!